GET 2 Sunglasses in this Pack! – One in Blue Stars and Stripe, One in Good Ol’ Red, White and Blue! 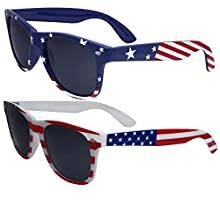 Patriotic Flag Print Sunglasses – Perfect for 4th of July!